What should I know about oil changes that are “great deals”? Where do I get a convenient rental car? Who should I call for towing? How can I get the best Gas Mileage? What should I do to get ready for a road trip? Have you ever noticed when shopping for a car battery that there are two or three seemingly identical batteries on the shelf appropriately rated for your car, but the prices vary considerably? Why should one battery cost $20 more than the battery next to it? 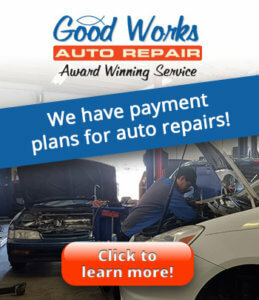 Good Works Auto Repair explains in this video that lower-quality batteries tend to “sweat” battery acid, which corrodes the surfaces surrounding the battery. We share actual footage of corrosion completely destroying a car’s $450 battery cable. In some cases, automotive battery cables can cost as much as $700 – certainly not worth the $20 savings on a low-quality battery! A cheap oil change to most means that they may not be giving you sythetic oil, but what if your vehicle was getting the wrong type of oil altogther? Feeding the engine with the incorrect oil can lead to engine trouble down the road and could even void your vehicle’s warranty. It is important to use a reptuable company for your vehicles oil changes to be sure you are getting excatly what you paid for and what your vehicle needs. Catalytic converter theft is on the rise in the Phoenix area. This is a particular problem for SUVs and Trucks as the catalytic converters are easily accessed and can be removed in about 5-10 minutes. Crooks are ripping off the car part and making money on the precious metals in them, most notably platinum. Thieves can make anywhere from $100 to $300 for about 5 minutes worth of effort, but it takes as much as $1,000 to replace. Watch the clip to become aware and become informed. And if you have any questions about this crime, please feel free to contact us for more information. We are here to help. We provide affordable and convenient on-site car rentals for our service customers. 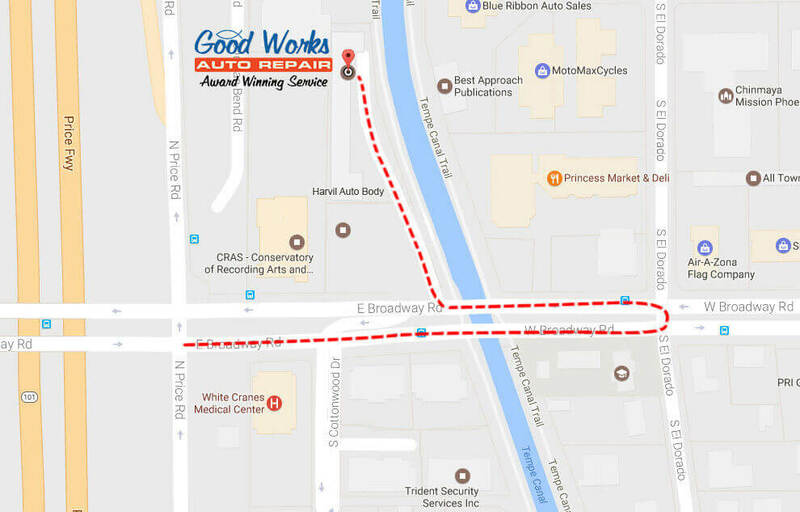 For as little as $25.00 per day (plus tax and fees), you can rent a reliable car from Good Works Auto Repair so you will never be stuck without a ride. Call us here and we’ll set you up. You can even rent a car from us for your out-of-town guests! We recommend Speedy Towing & Recovery. You can contact Speedy Towing at 480-966-2499, 24 hours a day, 7 days a week. 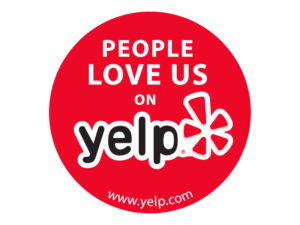 Ask them to tow your car directly to our shop, fill out the customer form, and drop your car key into our completely safe, after hours Key Drop. We will take care of the rest! Long gone are the days when looking under the hood, checking the timing, and cleaning the spark plugs was all you had to do to figure out the problem and get your car to run right. Today’s cars have sensitive sensors and computers that require sophisticated equipment to diagnose the problem and in some cases keep your car running in top condition. In fact, your vehicles’ Check Engine light typically alerts you that there may be a problem with your vehicle. Diagnostic codes are helpful tools to use, but it is important not to rely on them 100%. Trouble codes don’t give you 100% of the answer — they just point our technician in the right direction. “Test, don’t guess” is our motto. Worn spark plugs — A vehicle can have either four, six, or eight spark plugs, which fire as many as 3 million times every 1,000 miles, resulting in a lot of heat and electrical and chemical erosion. A dirty spark plug causes misfiring, which wastes fuel. Spark plugs need to be replaced as recommended by the manufacturer. Tow truck operators in resort areas or along interstate highways see all too many travelers forced to return home ahead of schedule. Car trouble, usually due to neglected preventative maintenance, brings an abrupt end to vacation plans. The situation usually means more than just a repair bill. It can involve towing charges, lodging and possibly a rental car. Add to that the cost of extra phone calls, meals and general inconvenience, and the ordeal becomes expensive. Not only can a pre-trip inspection help reduce the chances of costly and possibly dangerous road trouble, it also provides an opportunity to have repairs made at home, with one’s own technician who knows the vehicle. Especially important, it provides peace of mind. While no inspection can guarantee a car’s performance, it’s comforting to know proper precautions were taken. The term “tune-up” dates to the time when Henry Ford was working on his first automobile prototype. In Ford’s simple ignition system, there was one ignition coil for each spark plug. If there were four spark plugs, there were four ignition coils, which needed to be adjusted to provide the same spark intensity for better idle and acceleration. As these ignition coils worked, they made a buzzing sound, and when they were adjusted properly, they all buzzed in “tune.” The term “tune-up” stuck and became associated with replacing spark plugs and correcting rough idle problems affecting engine performance. Today’s automobiles do not require “tune-ups.” The term indicates the need for routine maintenance and should not be associated with poor performance. Automobile manufacturers have developed recommended routine maintenance schedules, which specify intervals for replacing spark plugs, PCV valves, fuel filters, etc. These schedules also specify intervals for checking or adjusting ignition timing, idle speed and other items related to engine operations, as well as emission control related devices.